I met Carrie on Etsy at thebeatKNIT when I came upon a vision of beauty which ultimately became my salvation when the whole family came down with the stomach flu. Portable Weaving Loom made from reclaimed lumber and by hand. While we all enjoyed the varied nuances that comes with 5 ill people and one bathroom I began to notice on Saturday that Sunshine who had came down with it Wednesday afternoon felt good enough to annoy those of us who were still ill. And, so I pulled out the lovely Portable Weaving Loom for her to use. Rhea saw it and began to perk up. Both girls sat down at the table and began to weave or “wheeve, as Sunshine says. 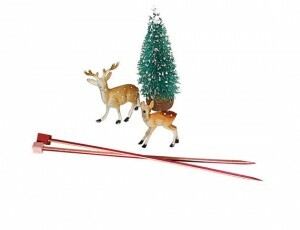 Santa Knitting Needles handmade by Tibetan villagers. Block knitting needles will provide you with a more comfortable knitting experience. 100 grams of handspun, light weight, cream colored, Yak Down yarn. So! Do you want to win one of these for yourself? Or perhaps you’ll be a good momma and give it to one of your little or not so little ones. It’s a great extension to any weaving with paper or ribbons you’re doing in your Montessori classroom. And, it’ll expand your monkeys life skills in Erdkinder while giving them a greater understanding of how cloth is made. Rhea’s made a belt by sewing the panels together. She and Sunshine have already discussed bedding for their babies and new Turkish rugs for the fairies. They’re working to create a pattern for the Turkish rug plan. If you’d like a chance to win your own enter below. And, if you simply can’t wait go and check out Carries store and buy your own. She’s offering 10% off by simply entering “Mondorfment” when you’re checking out. 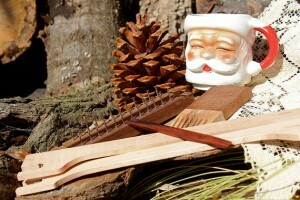 While there check out her other goodies like the Santa Needles or the Cream Yak Down Yarn. Or go exotic and try the Block Knitting Needles. I think they’d be good for those with Carpel Tunnel as you don’t have to twist the needles. Good luck! Please take a moment and subscribe for more bloggy goodness. Due to all the love and interest in thebeatKNIT’s Yak Down Yarn I’m going to purchase a skein for the winner to use with the loom. Carrie offers two colors; brown and cream. I’m going to extend the giveaway a few more days so you can share which color you would prefer and earn a few extra entries to win it. I really wish everyone luck! I love the loom, of course, but I would also like to try the flat knitting needles. I love the Strawberry Retractable Measuring Tape. So cute! How cool; I remember watching my grandmother do this a long time ago. Thanks for sharing! The Strawberry Retractable Measuring Tape is way cuter than my utilitarian measuring tape in my sewing kit!! I might put it on my Christmas list and hope it ends up in my stocking as a stocking stuffer!! My favorite is the portable loom! Wow!! My kids would LOVE this loom. such a lovely loom. i’d love to win one for my little ones! I absolutely LOVE the portable weaving loom. What a beautiful shop! love the Strawberry Retractable Measuring tape! too cute! I’m really intrigues by the flat needles– I’d love to see how those feel when knitting! I love the brown yak yarn. beautiful! Buying handmade items can be expensive when compared to items that are massed produced. I know it means we buy less but it also means they last longer. My wool yarns last so much longer than the store bought cotton yarns I pick up for the girls to “practice” on. Like for the loom we used some I picked up at Joanns on sale. It gave them a chance to try out the loom. Now that they’re loving it I’ve upgraded them to handspuns. I’ve also found that handmade items have an extra something to them. And handmade items made of organic and natural materials have even more. It’s like buying cookies at the store or making some at home. Same ingredients (sorda! 😉 ) but the homemade ones are AMAZING! I’ve really believe that when a person is creating something with love and with the intent someone will enjoy and love the item it has more; karma, energy, love, umph! what have you. That’s what I pay extra for. The life or energy that is passed onto my family, the chemical free item that is handled by my family, and also buying and supporting my community and other momma and daddy business makes that little extra so worth it. Oh! and don’t forget Carrie’s offering a 10% discount on everything by typing in Mondorfment. My favorite item at the Beat Knit is the portable weaving loom! 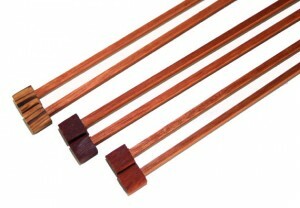 I like the Tigerwood Double Point Knitting Needles! I think that you have a wonderful sense of humor (as evidenced by the caption below your profile pic.) Your girls sound so sweet from this blog entry, and I’d love to win this handmade loom. Also, for good measure: Although I’m rather curious about the yak yarn, I probably like the Exotic flat knitting needles the best. Space efficient and unique, what’s not to love? I think the loom would be great to experiment with on cold winter days! Like the strawberry retractable measuring tape. I’m fascinated by the flat knitting needles. But I think my favorite ones are the spalted maple. It’s such a pretty wood! Thanks so much for the chance to win the loom! I love the children’s knitting needles you have on Etsy. Oh my! What I don’t know sometimes surprises me! The yak down yarn sounds amazing, but then I know my kids would like the Child’s Knitting needles.And the portable weaving loom… Gracious! What a wonderful life! I love the children’s knitting needles. Hope top start my little one soon. Would love to wind your loom givaway. Thank you for the chance to enter. I am having some trouble because none ofthe pictures on your blog show up for me and I could not click on the pin picture as it did not show up. But, I did manage the others, so I’m happy. Loved your Pinterst and loved the yak cream yarn at Etsy. Glad I found your site! Thank you for the opportunity to enter to win this loom! I have been looming off and on since 2005. Our students would love this! Potholders have gone over well, and this is a great way to further those skills. What fun! I knit with needles but want to learn to use a loom! 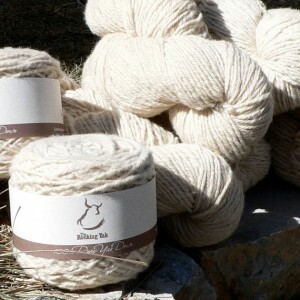 The cream yak yarn. I’m allergic to wool so I’m always looking for alternatives! Love the exotic triangle knitting needles! Here’s my comment to say i like the look of the protable loom. This loos like just the thing for our handiwork that’s has come to a dull stop lately! THanks for the links and the contest!! I’ve been using a scarf loom all week, and I’m gathering up the courage to start with a hexagon lap loom. the loom and the block needles look neat. My kids would like them. I like the cream colored yak handspun yarn. as silly as it seems, the Strawberry Retractable Measuring tape is just a cute gift idea. I like the exotic triangle needles! I like the Tigerwood Double Point Knitting Needles US 8 Block! I can’t get over how cute the strawberry measuring tape is! I love the Strawberry Retractable Measuring Tape. Actually, yak down has the same micron count as Cashmere! It is so heavenly soft & it’s naturally hypoallergenic. My son is allergic to wool so I knit EVERYTHING for him out of yak. It holds up well for a playful guy.